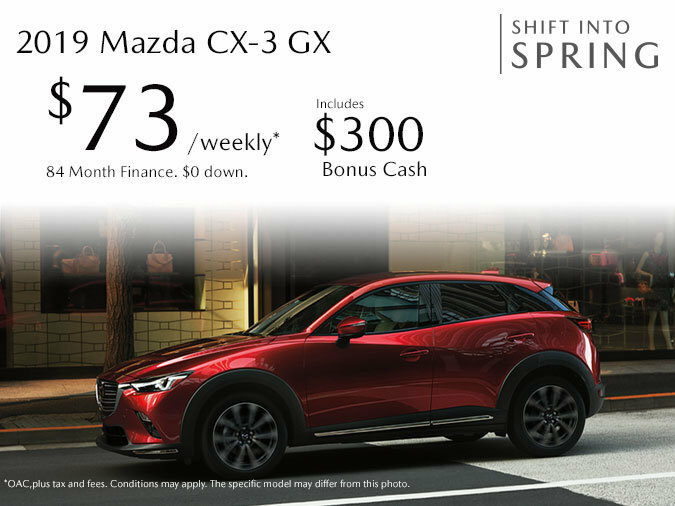 Finance the 2019 Mazda CX-3 GX starting from $73 Weekly at 2.99% APR for 84 months with $0 down. Offer includes $300 Bonus Cash! On approved credit. Plus tax and fees.